Cancellation Notice on WWME Parish Weekend ﻿We’ve Modernized with Online Parish Giving! 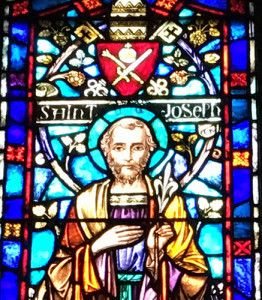 Our Novena to St. Joseph will begin Friday, March 11. We will pray the novena weekdays and Saturdays after the 12:05 p.m. daily Mass, and on Sunday, March, 13, at the 11:30 a.m. Mass, concluding on St. Joseph’s Day, March 19. We invite you to join in our novena to the humble head of the Holy Family, patron saint of workers and the patron of the universal church. and the special favor we now implore. Jesus, Mary and Joseph assist us in our need. Amen. and sought your intercession was left unassisted. but in your bounty, hear and answer me. Amen.